In case you didn't know, I used to be an exhibitor in corporate health fairs before co-founding Health Fair Connections (HFC) in 2013. Before HFC, I worked for a sleep medical center that had a DME counterpart called Feeling Great; that's my booth photo above. When I worked at the sleep center, I attended 50+ corporate health fairs per year and was able to personally help/influence employees at these corporations to be treated for their sleep problems and disorders (i.e. sleep apnea). 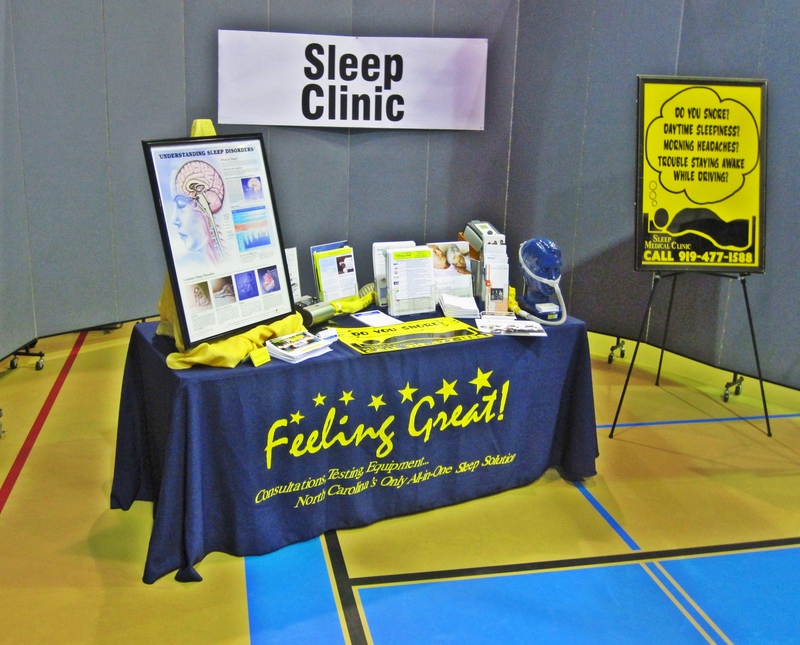 I helped the sleep center gain many new patients at these health fairs, and I realized that health fairs were way more efficient and cost-effective over traditional marketing channels (radio, tv, the internet, etc.). In turn and overtime, the employees impacted would be more productive at work and their overall health would improve in some cases. This would reduce medications, doctor visits, and overall cost to the corporations (so, it wasn't all about the biz). If okay with the employee, I would turn the screening tool over and collect their contact information [this is key!]. When I returned from to the office, I would hand the questionnaires off to the receptionist, then have her/him call the leads the next day. Out of 40 or so leads I'd collect at each health fair, roughly 7-8 would turn into sleep consultations with our sleep physician. Health fairs generated more leads than radio, TV, internet, Google PPC, and other means of marketing and outreach for the sleep center I represented. Not only did I generate leads, but the quality of the leads were better than the other channels. Think about it... At health fairs, you get to come face-to-face and shake hands with employed and insured adults, allowing you to build trust in a matter of minutes. Does TV or Radio do that? How many more loops do leads generated by TV, radio, or the internet have to go through in order for you to be able to speak with them face-to-face? And, for the leads that are generated through radio, TV, or internet - after those leads go through all the additional steps, it's a good chance those leads don't have good health insurance and are not your ideal prospects. Health fairs eliminate steps in the acquisition funnel (or in the sales cycle) and generate ideal prospects for your sleep centers. I could go on for days, but to save time and cut to the chase -- If you know how to work corporate health fairs, you can really make an impact, both for the organization you're representing and to the organizations (and employees) you come into contact with. It can be a win-win! I came across a video (by Steve Weiss of Home Care Marketing ) that brought me back to the gold old days. It prompted me to create this email to share the video with HFC's ecosystem of health fair exhibitors and vendors. Steve offers helpful tips on how to be successful at health fairs in a little over 3 mins and 30 secs. I hope my short story and the video by Steve was not only helpful but provided value to you and your team. Perhaps it can move the needle on helping you increase the number of folks you impact and help at corporate health fairs.